Drivers, missing requirements in Ecodesign? What does the ErP directive say about drivers. That is an interesting question. Lets first get one thing out of the way. The labelling IM is not requiring any labelling of drivers. A bit strange since drivers can be independent and are sold as a product to end users. Checking the scope of IM 1194/2012 it is “equipment designed for installation between the mains and lamps, including control gear, control devices and luminaires” so this is simple, drivers are in scope. Next we have to take a look at the exceptions. Also here it is clear, no exception for drivers. Last issue is to determine the stage the directive is in, that is clear on writing of this blog it is still stage 1. This means that we have to look for requirements in stage one. In this blog we will look a bit further. As of stage 1 LED products must comply with a EEI of 0,5. This means for lamps with built in drivers or for luminaires with integrated LED modules must have a combined EEI of 0,5. For a independent driver there is a correction factor for the lamp. The correction basically ads 10% (table 1) of power taking care of a loss of energy in the driver. This should be than one of the requirements for the driver? Or not? We are then going to the second clause, 1.2 that is specifically about control gear. So what does it say? It first gives a requirement for the standby power. In stage 3, 1-9-2016, it needs to be below 0,5 W. Till than there is no limit. There is also a limit for drivers that would be switched off behind the driver by a switch. This is an issue that we see for low voltage garden lights for example. There is a limit for the power taken during off time of 1 W and when the power is over 250 W the limit may be multiplied by P/250. This is valid from stage 2 (1-9-2014). From stage 3 the limit is reduced to 0,5 W with the same correction factor for powers over 250 W.
The last requirement in this clause is specifically for halogen lamp control gear. This means that there is no energy efficiency requirement for LED drivers. There is only a requirement for standby power consumption as described above. This is a bit strange. As an example you could have a A++ LED luminaire that needs to be provided with a separate ballast. I.E. small luminaires for building in are in many cases build this way. When you buy a independent driver, with a efficiency that is very bad, the total efficiency can get very bad and still it is ok for ErP……., or not? – must function for 6000 hours, powering the LED module to such an extend that it can reach the required lumen output. In case of independent drivers the driver does not have to comply?? Clause 2.3 should bring the clarity. It says that drivers need to comply with the state of the art requirements for compatibility with lamps with a EEI of …. It does not actually say that it should comply with specific requirements but when the requirements as mentioned in lamps with integrated drivers can be met, that can be considered state of the art and that being the case the requirements as above for lamps apply together with a maximum power loss of 10% (as being used as correction factor). This is valid starting in phase 2 (1-9-2014). There is another issue to be addressed. This clause states that dimming devices, when set to the lowest level, the lamp must have 1% of the light output. Drivers that can dim, with a control, and integrated in a luminaire can be controlled and set in the correct way. In case of independent drivers this might be a challenge. I am not yet sure how that will be addressed? Last requirement is about the marking, documentation etc. Clause 3.3 and 3.4 give the requirements. 3.3 is about the compatibility issue. Does it apply? It could apply when the product does not comply with the requirements from 2.3 but could that product still be sold? 3.4 is about the no-load power. 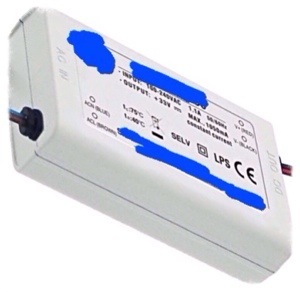 If the product does not comply with the 0,5 W requirement a statement is needed that is is not to be used in no-load. For the rest you have to mention specifically that it is control gear. This marking requirement is also from stage 2 (1-9-2014). The other IM (DIM I and TIM) do not give requirements for led control gear. With the requirements that are coming driver manufacturers have to overcome some challenges? Independent drivers are not yet in need to comply, only drivers that are built-in in luminaires need to be able to comply. It is to be expected that requirements for energy efficiency will follow in the next review of this regulation. ← Zhaga, Part 5 Is Zhaga standardization sense or nonsense? Gestandaardiseerde driver afmetingen zijn een zegen voor de circulaire economie? Realiteit kennis over CE en het toezicht?